A fire that destroyed 43 homes last year in a largely rural area north of San Francisco was sparked by an illegal marijuana growing operation, officials said Wednesday, while the two suspects fled the country before they could be questioned. 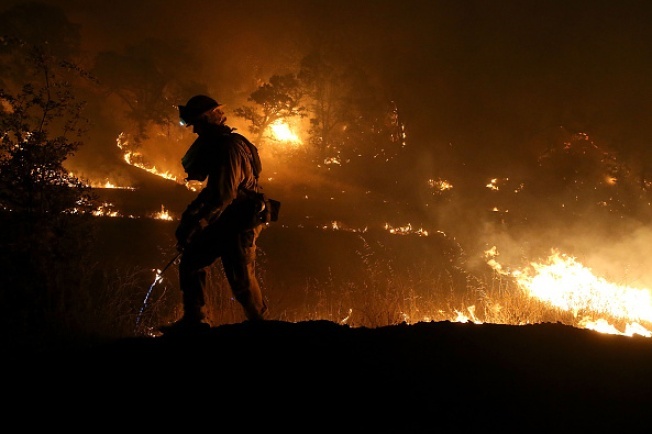 The Rocky fire burned about 108 square miles in Lake, Yolo and Colusa counties, destroying 43 homes and 53 outbuildings before it was contained. It began near where firefighters are currently battling an unrelated fire that investigators say was caused by a serial arsonist. Last year's fire was started by a faulty water heater near where about 100 marijuana plants were being grown east of Clearlake, said California Department of Forestry and Fire Protection spokeswoman Janet Upton. "It was strapped to a tree. Quite inventive, and why it was not very safe," she said. The fire was the second most destructive in the Lake County area last year, behind the Valley fire that destroyed more than 1,300 homes. The cause of a third nearby fire that burned six houses remains under investigation. In the current fire, Damin Pashilk, 40, of Clearlake, is charged with 17 counts of arson including setting the fire that has now burned a portion of the town of Lower Lake. But officials said he is not a suspect in any of the big three fires last year. The Rocky fire was one of at least five marijuana-related wildfires in Northern California last year, with four more reported so far this year. 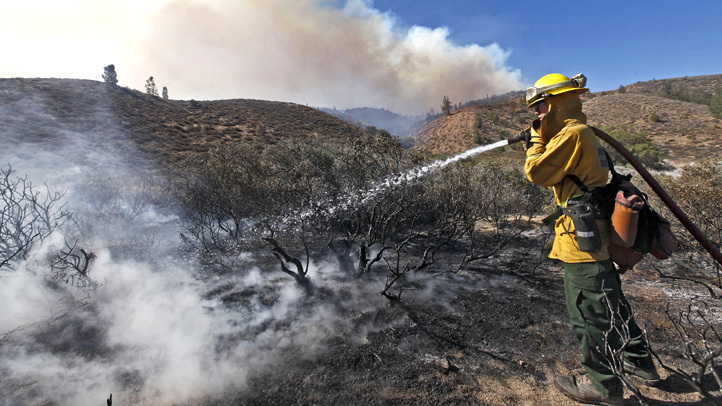 Southern California's climate isn't as favorable for growing marijuana at the lower elevations overseen by CalFire, Upton noted. Officials could not say if the nine recent fires are an increase. But it's concerning enough that the department is considering breaking out such fires into a separate category when it revises its reporting system in 2018, Upton said.